“The Originals” TV Show Rents Our Furniture! Do you like the CW show The Originals? If so then we’ve got a heads up for you. We just rented some furniture to them for an episode that they are shooting! 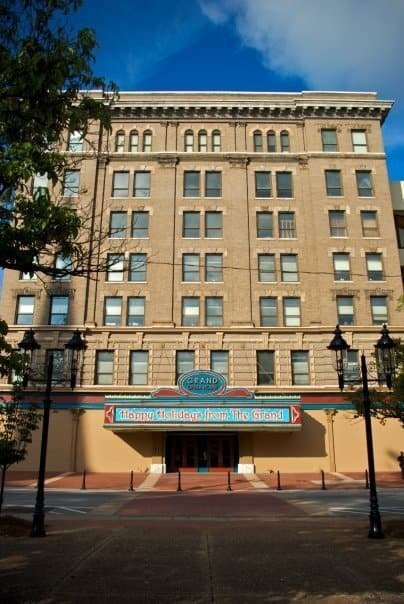 The episode will be shot at the Grand Opera House in Macon, GA. We cant wait to see our furniture on TV!!! 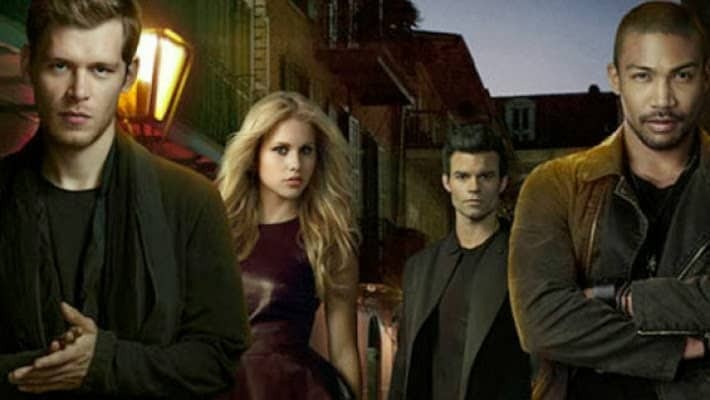 A spin-off from The Vampire Diaries and set in New Orleans, The Originals centers on the Mikaelson siblings, otherwise known as the world’s original vampires: Klaus (Joseph Morgan), Elijah (Daniel Gillies), and Rebekah (Claire Holt). It was revealed during the backdoor pilot, aired on April 25, 2013, that recurring werewolf character Hayley (Phoebe Tonkin) is pregnant with Klaus’ child. Now Klaus must take down his protégé, Marcel (Charles Michael Davis), who is now in charge of New Orleans, in order to re-take his city, as he originally built New Orleans. But the Mikaelson siblings were forced to flee the city after being chased down by their father Mikael, while it was being constructed and Marcel took charge. Upon their return, Klaus has but one burning desire: to take down Marcel and reclaim New Orleans for himself. Leighton Hall the “18th Century” Fine Dining Chair, Conference Chair. 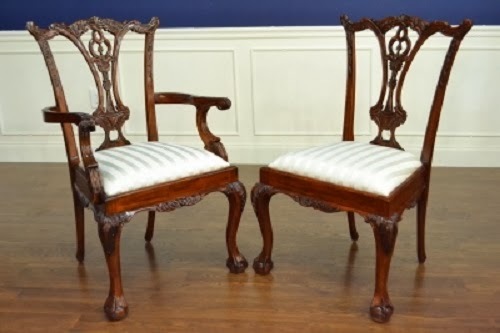 These chairs are crafted of the finest mahogany. They are built in the same factory, by the same hands, same wood, same finish, as Henredon, EJ Victor, and Hickory Chair. There is a slight design change and no label so you can buy them from us for less than half retail of what you would pay elsewhere. All of these chairs come in a temporary muslin fabric. Traditional Chippendale design is a reproduction of the mid-1700’s featuring a thin interlacing back splat with accents of acanthus leaves. A carved seat is joined by ball and claw front legs. The Grand Opera House, formerly known as The Academy of Music, was constructed in 1884 with the largest stage in the southeastern United States and seating for 2,418, almost one-fifth of Macon’s population at the time. The building was renovated in 1905; the present seven-story facade was added and the building reopened as the Grand Opera House. The Grand has had numerous historic uses; live horses and chariots appeared in an 1908 production of Ben-Hur and during World War I, actor Charlie Chaplin led the John Phillip Sousa band for a fundraising effort. The theater has also hosted, among others, Sarah Bernhardt, Will Rogers, George Burns and Gracie Allen, Lionel Barrymore, Ethel Barrymore, Bob Hope, the Allman Brothers Band, and Ray Charles. Magician Harry Houdini was also a featured player at the Grand, leaving a well-known legacy: the stage sports a number of trap doors, one of which remains operational and is used occasionally today in performances such as annual production of The Nutcracker ballet. Local lore claims that the trap doors were installed specifically for Houdini. In 1936, as the popularity of vaudeville waned, the Grand changed to a movie theater, hosting Macon’s only Hollywood premiere, 1945’s God is My Co-Pilot. By the 1960s, the Grand had ceased showing movies and plans were made to replace it with a parking lot. Those plans were blocked in 1967 by the Macon Arts Council, a group formed to save and restore the Grand; the group held a fundraising gala featuring the Atlanta Symphony Orchestra and had the property placed on the National Register of Historic Places in 1970. 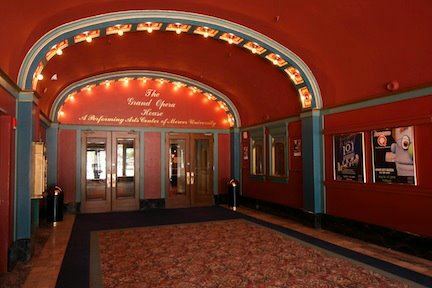 The Grand was renovated and reopened as a live theater in 1969. (The second balcony, or peanut gallery, remained closed to the public and was dedicated to lighting equipment at this time, reducing the maximum seating to its current number of 1,030). Fund-raising efforts continued through the next several decades, with ongoing physical plant upgrades, with another renovation taking place in 1985.